Could You Actually Use Credit To Get Out Of Debt? HomeBlog Debt ReliefCould You Actually Use Credit To Get Out Of Debt? I’m sure you’ve heard that old proverb that, “you can’t borrow your way out of debt.” And for the most part that’s true. Take debt consolidation loans for example. If you owed $15,000 on credit cards, took out a loan and paid them all off, you would still owe $15,000. The only differences are that you would owe the money to a different lender, you would have a lot more time to ` off the debt and you would have a lower – in some cases a much lower – interest rate than you’ve been paying on your credit cards. 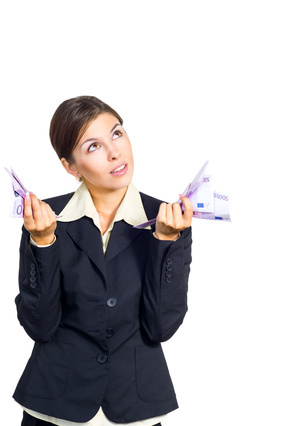 However, there are some ways you could use credit to sort of get out of debt and here are three of them. If you could qualify for a 0% interest balance transfer card you debts wouldn’t be eliminated but it could be a useful tool. The way these cards work is that when you transfer the balances on your other credit cards to the new one, you would have a debt-free introductory period of anywhere from six to 18 months – depending on the card you choose. The benefit of these cards is that all of your payments during your introductory period would go to paying down your balance and not for any interest charges. If you could make two or three times the minimum payment before your introductory period expired, you could have your balance completely paid off. There are cards that are similar to balance transfer cards in that they offer the opportunity to save money with 0% APR financing on new purchases. This would allow you to keep enjoying the convenience and security of your credit cards but without being charged interest on your purchases. If you use the money you save to pay down your debt, you should be able to pay off your balances much faster. If you can’t qualify for or choose not to get a 0% interest balance transfer card, you could at least transfer your high-interest balances to a lower interest credit card. Look up the interest rates you’re currently paying and you might find they’re as high as 19% or even higher. You could save a substantial amount of money by transferring the balances on those cards to a new one with a much lower interest rate. For example, as of this writing there were cards available with an interest rate of 13.2%. Get one of these, transfer your balances to it and again you would free up money you could use to pay down your debts. Whether you realize this or not, thanks to the CARD Act of 2009 your monthly statements now show how long it would take you to pay off your balance if you made only the minimum payments and how much you could save if you paid off your balance in three years. This information can be very helpful. But if you’re having a problem with debt, you might need a more powerful tool that could help you create a plan to pay off your balances as quickly as possible. One that we like is the Credit Card Repayment Calculator on the Federal Reserve Website. Or you could use the Credit Card Pay Off Calculator. It’s very flexible and will show you how long it will take to pay off your balances given your interest rates and different payment amounts. If you’d like some additional tips on paying off credit card debts, watch this brief video. 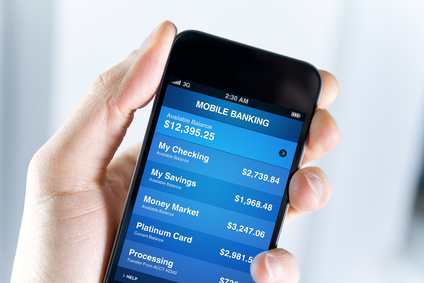 Have you ever thought of your smart phone as a tool for saving money? They can actually be a sort of Swiss Army Knife what with all the different apps available for use on them. In addition to using your smart phone to take photos and make phone calls, you could have, as the Manning brothers revealed in that funny video,” football on your phone”. Plus, you could use it a variety of different ways that would save you money. Here are nine apps you should have and the best part is that most of them are free. Why pay the full price for anything when you could have this free app on your iPhone, Windows Phone or Android phone? It’s great for comparison shopping because when you find something you want to buy, you use it to scan the item’s bar code. It will then automatically search, compare and spit out the best prices available at all online and brick-and-mortar stores within a few miles of where you’re shopping. This free app is, unfortunately, available for use only on an iPhone. It provides you with access to tens of thousands of retailer deals and coupons almost instantly. You can shop online on your phone and then drag promotional codes into the Retail Me Not website to boost your savings or even redeem the coupons directly from the app in the store – without ever using a printer. Here’s another free app that can be used with an Android phone or iPhone. The way you use it is to photograph all your receipts. If any item goes on sale within the next 30 days, the app will alert you. You can then go back to the merchant, show him or her the lower price and request an adjustment. Aren’t you tired of carrying around all those store loyalty cards? I know I am. You can eliminate this with the free app, Key Ring. You use it to take pictures of the ID numbers of all your loyalty cards, which it stores away. You can then whip it out and use it whenever you would qualify for a discount or a reward at one of your favorite stores. You can put all those loyalty cards away in a drawer where they won’t be stuffing up your wallet. You probably know that a Sherpa is a guide that helps people climb mountains in the Himalayas such as Everest. Well, Coupon Sherpa can guide you to some great savings. This app is cool in that it totally eliminates the need to clip and take coupons to the store with you. 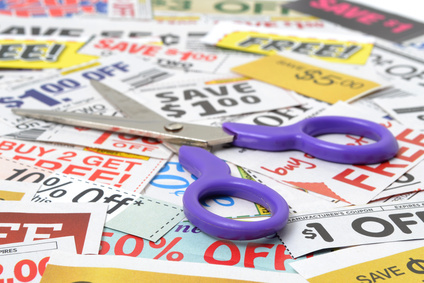 The way it works is that you find coupons online and then simply flash the phone at checkout to get your discounts. It’s free and is available for use on iPhones and Android phones. This app is free for use on Android phones but costs $2.99 in the iTunes store. You type in your zip code and it will show you the lowest gas prices at stations near you – with the stations displayed either as a list or on a map. This app is available for use only on an iPhone and costs $1.99. What it does is let you quickly compare and convert the prices of products based on many different package sizes, lengths, volumes, and units to find the best deal. It will calculate discounts and premiums and display them directly or you can set prices, numbers and amounts yourself using the app’s optimized keyboard. If you’re looking for an airfare that won’t break your budget and have an iPhone, you need this app. You use it to find cheap flights at the nearest airport or you can set it to provide up to six alerts a day if the prices drop on an airfare to your favorite destination. There’s no need to over pay for auto repairs ever again Whether you need service or roadside assistance with a flat tire, this app will show you a list of the shops closest to you along with accurate estimates of whatever it is you need done. RepairPal is free and can be used on iPhones or Android phones.